ADSTRA Dental Software has been a leading provider of paperless dental software for over 20 years, including being selected by Lockheed Martin Canada to supply the paperless dental software component for the Canadian Department of National Defence’s state-of-the-art health care system. As a leader in the paperless dental software field, ADSTRA is continuously developing ways to improve their solution, including now being able to offer a Cloud solution, ADSTRA Cloud. ADSTRA Dental Software knew that developing a safe and secure cloud-based paperless dental software solution was something that their customers wanted – and so they partnered with fellow industry-leader, Microsoft Azure. Having already a solid foundation of a set of four proven modules, ADSTRA Dental Software combined the four ADSTRA modules (ADSTRA Management, Charting, Imaging, and Connect) to create ADSTRA Cloud. This one-stop solution offers an ideal paperless dental software set-up for both small and large offices, single or multi-location practices – with no up-front costs, no set-up fees, no need to budget for servers, and no need to back-up your own data. Your practice management dental software should be easy to use. ADSTRA Dental Software developed ADSTRA Management with this in mind. Treatments and receivables; patient administration and marketing; clinical notes and financial statements – are all just a click away within the ADSTRA Management paperless dental software solution. ADSTRA Management provides the ability to do everything you need in order to run the office aspect of your dental practice smoothly. Linking your patients’ examinations, dental treatments, and dental treatment plans with the specified patient’s treatment and treatment plan logs within your practice management software is an ideal solution to helping your dental practice go paperless. ADSTRA Dental Software developed ADSTRA Charting to work seamlessly with ADSTRA Management. Users are able to set their own preferences for a number of options within ADSTRA Charting, as well as access general, periodontal, restorative, and endodontic charts. Over the years, you may choose to switch your dental imaging equipment, so your dental imaging software should be flexible to meet your requirements. ADSTRA Imaging is flexible and scalable – capable of working with a variety of dental imaging devices. Capture and view your digital camera images, intra-oral camera images, panoramic radiographs, and intra-oral radiographs – and associate them all into one patient record. Communication is key to having your dental practice run smoothly. Between storing electronic documents, tracking consumables, or even inter-office instant messaging – ADSTRA Connect is the ideal addition to your overall paperless dental software solution. 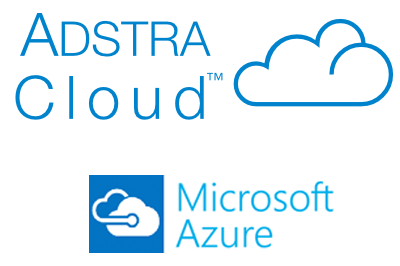 Combining the features of the above ADSTRA Dental Software modules with the safety and security of Microsoft managed servers, as well as hosting on the Microsoft Azure platform, ADSTRA Dental Software provides the optimal paperless dental software solution for your dental practice software needs.